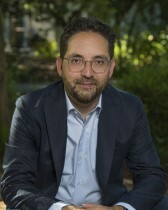 Geraldo L. Cadava (Ph.D., Yale University, 2008) specializes in United States and Latin American history, with a focus Latinos in the United States and the U.S.-Mexico borderlands. Originally from Tucson, Arizona, he came to Northwestern after finishing degrees at Yale University and Dartmouth College (B.A., 2000). Cadava is currently writing a book about the rise and fall of a conservative Hispanic movement between the 1960s and the 1990s. It is about the evolution of conservatism among Hispanics—the label they chose for themselves—from the establishment of the Republican National Hispanic Assembly through its fracture due to anti-immigrant policies such as California’s Proposition 187. Conservatism among Hispanics in the United States, the book will argue, was forged in the crucible of U.S.-Latin American relations, and what distinguishes Hispanic conservatism from mainstream American conservatism—what’s “Hispanic” about Hispanic conservatism, in other words—is the emphasis that Hispanics place on immigration and hemispheric economic, military, and cultural relationships. His first book Standing on Common Ground: The Making of a Sunbelt Borderland (Harvard University Press, hardcover in 2013, paperback in 2016) won the 2014 Frederick Jackson Turner Award from the Organization of American Historians, and was a finalist for the David J. Weber and Bill Clements Prize for the Best Non-fiction Book on Southwestern America. It addressed the shared cultural and commercial ties between Arizona and Sonora that show how the United States and Mexico have continued to shape one another despite their political and ethnic divisions. From the 1940s forward, a flourishing cross-border traffic developed in the Arizona-Sonora Sunbelt, as the migrations of entrepreneurs, tourists, shoppers, and students maintained a densely connected transnational corridor. Politicians on both sides worked to cultivate a common ground of free enterprise, spurring the growth of manufacturing, ranching, agriculture, and service industries. These modernizing forces, however, created conditions that marginalized the very workers who propped up the regional economy, and would eventually lead to the social and economic instability that has troubled the Arizona-Sonora borderland in recent times. These projects have received support from the Stanford Humanities Center; the Ford Foundation; the Woodrow Wilson National Fellowship Foundation; Mellon Mays Graduate Initiatives Programs; and a Huggins-Quarles Prize from the Organization of American Historians. Cadava’s other research interests include the U.S.-Mexico border in all time periods; frontiers and borders around the world; memories of the U.S.-Mexico War; and the movement of art and artists between Mexico and the United States. His writing has appeared in The Journal of American History, The New York Times, the Los Angeles Times, The Atlantic online, the San Francisco Chronicle online, the Arizona Daily Star, and in the publications of the Immigration Policy Center, the National Park Service, and the American Historical Association. The Silenced Minority: the Rise and Fall of the Hispanic Conservative Movement (in the process of researching and writing). Standing on Common Ground: The Making of the Sunbelt Borderland (Cambridge, MA: Harvard University Press, 2013). “The Other Migrants: Mexican Shoppers in American Borderlands,” in Race and Retail: Consumption Across the Color Line, edited by Ann Fabian and Mia Bay (New Brunswick, NJ: Rutgers University Press, 2015). “Entrepreneurs from the Beginning: Latino Business & Commerce since the 16th Century,” American Latinos and the Making of the United States: a Theme Study (Washington, DC: National Park System Advisory Board, U.S. Department of the Interior, 2013): 215-229. “Borderlands of Modernity and Abandonment: The Lines within Ambos Nogales and the Tohono O’odham Nation,” The Journal of American History vol. 98, no. 2 (September 2011): 362-383. Cadava teaches undergraduate and graduate courses—both lectures and seminars—on Latino History, North American Borderlands, Comparative World Borders, the American West, and social, cultural, and political histories of the United States and Latin America. 2015: Stanford Humanities Center, External Faculty Fellowship (declined). 2014: Frederick Jackson Turner Award, Organization of American Historians. 2011-2012: Ford Foundation Postdoctoral Fellowship. 2011-2012: Woodrow Wilson National Fellowship Foundation, Career Enhancement Fellowship for Junior Faculty. 2011-2012: Research Institute at the Center for Comparative Studies in Race and Ethnicity, Stanford University, External Faculty Fellowship (declined). 2011-2012: The Bill & Rita Clements Center for Southwest Studies, Southern Methodist University, Research Fellowship (declined).